Although this children’s book isn’t about Scandinavian immigration, the circumstances — the long voyage, fear of the unknown, and reluctance to leave everything familiar — that Krysia, a young Polish girl, goes through are perhaps universal. Two things make this book special: the beautiful and captivating artwork by Dennis Nolan that evokes the uncertainty, wonder and dreams felt by many young immigrants, and the fact that it is on Christmas Eve that Krysia spots the Statue of Liberty and realizes that this may be one of many great holidays in a New World. 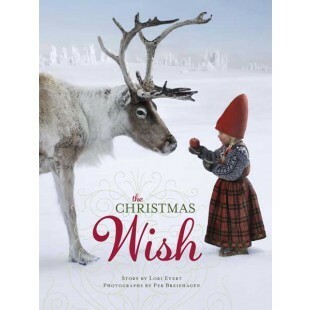 This book can easily be placed on the shelf with the holiday stories families come to treasure year after year. Recommended for ages 5 and up by the publishers, and recommended by this Web site’s owner that it be read to children by grandparents or great-grandparents who can steal some quality time to tell another generation stories about their ancestors, embellished or not!